There has been tremendous success with oral Bible storying workshops in Chad. These have involved training 15 people from the Kabalaye, Mulgi and Soumraye language communities. We thank God for the 23 Bible stories now available for these three communities. Pray for an eagerness to share these stories and for people to engage actively with God’s word in their mother tongue. Pray for those being trained in five more languages in Chad to grasp the difference that these Bible stories could make to many lives. There’s a new ministry among the Kanembu in Chad. Pray that the established church in southern Chad would have a growing enthusiasm for evangelism and that we may be effective partners in the gospel. Pray that God would be calling people to serve on a team among the Kanembu and that he would also be preparing the hearts of the Kanembu to be open to hearing the gospel, and to the idea of having a team living among them. Workers in Chad have had opportunities to visit many villages due to new well-building projects. Before drilling wells, they work with community leaders to establish a water committee. The committee is tasked with managing, protecting and maintaining the well, and also to be responsible to help gather funds, repair and care for their wells into the future. Workers work through many scenarios to learn how they deal with conflict and resolve problems together. Workers will visit these communities multiple times in the coming months, following-up on their progress. Please pray for these thirsty villages to not only have water, but to receive the living water too. Whenever women step out the front door in Northern and Eastern Chad, they wear a garment called a lafaya over their dresses; a rectangular cloth, which is elegantly draped and wrapped around the whole body. Lafayas come in all colours and many patterns. As women walk around town, their lafayas create splashes of colour against the background of the dusty brown streets. Pray for more workers for Chad and for Chadian women, that one day soon their hearts would be adorned in the salvation and righteousness of Jesus Christ. Idris is a 12 year old boy with cerebral palsy. He continually radiates a smile despite the fact that he is unable to walk or speak. 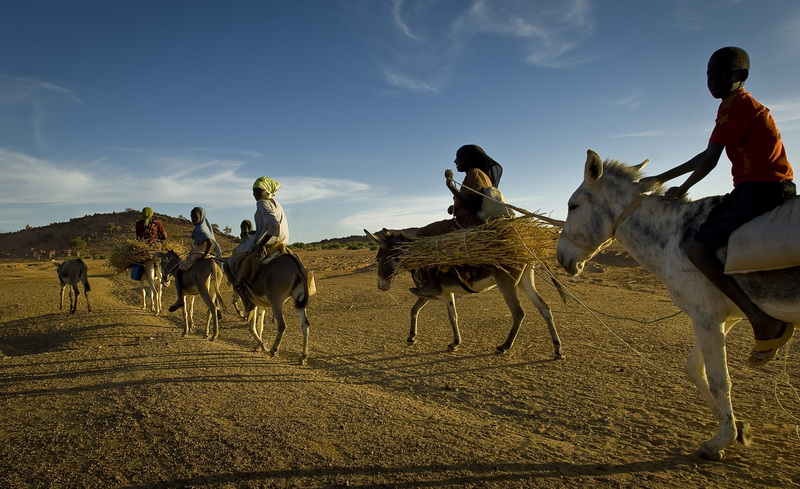 He travelled to the temporary clinic in Bailli by donkey with his mother and father from a village 5 kilometres away. It is obvious to Dr Ann Fursdon that Idris is cared for well by his parents and she is able to reassure and encourage the family. Pray for Idris and his family, giving thanks that, despite the challenges, they were doing all the right things for Idris. The shame associated with having a disabled child in Africa is immense, pray that children like Idris will be seen for what they are, God’s precious gifts to their families. 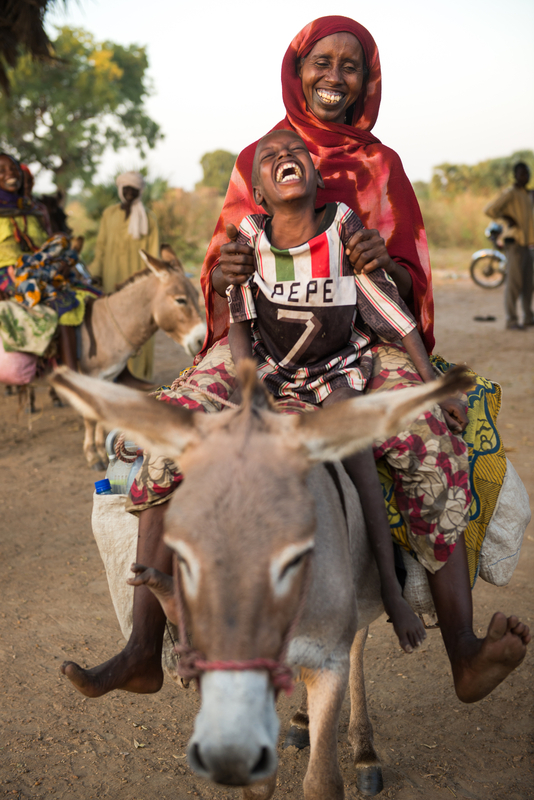 When five-year-old Yousef arrived at Guinebor Hospital in Chad he weighed just 6kg. Severely malnourished, he hadn’t walked for two years; he was so weak he couldn’t even sit up. Listless and seemingly disconnected from everything around him, he was dangerously close to death. Five weeks on, BMS nurse Rebecca North is joyfully able to tell a different story; Yousef has a life to look forward to. “Yousef is an example of the people who come to us who will not live if they don’t get the care and the treatment that we offer,” says Rebecca. Pray for other children like Yousef who suffer with severe malnutrition, for miracles of healing. Pray too for doctors and surgeons to join the team. Chad has been ripped apart by civil war, and 80% of the population now lives below the poverty line. Medical care and services are greatly lacking in this Central African nation, and with the prevalence of HIV / AIDS, life expectancy in the Republic of Chad is just 40-42 years (Prayercast.com). Pray for workers to go to Chad to effectively share the good news with the Biblala people and for the hearts of the people to be open to it. Pray too that humanitarian aid would be brought to the country and to this people group. Ismina’s baby was born 2 months early and weighed only 1.2kg. Being so tiny meant it was difficult for Ismina to feed her. So, with her husband, they left their home in Dourbali and travelled to Guinebor II hospital near N’Djamena that is run by BMS World Mission. After some intensive treatment the little girl turned the corner and began to thrive. 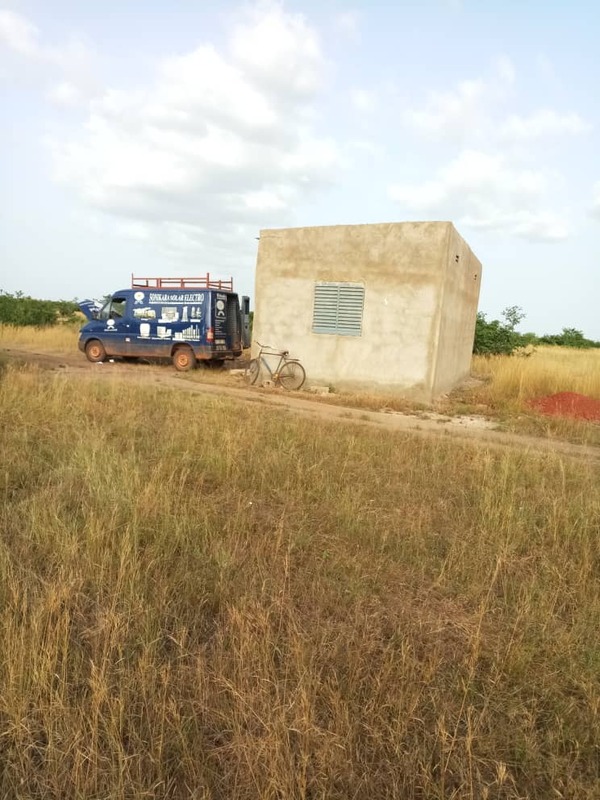 The hospital has also recently taken delivery of a solar powered refrigerator which means that vaccines can be kept fresh and more people protected against common diseases such as polio. Pray that this hospital will be able to provide more and more help to people whose lives are so much at risk from treatable conditions. As one of 210,000 people in Chad living with HIV, Madji has had to get used to feeling isolated and stigmatised. “We are infected people, and we do worry,” she said. But gradually, this is changing as a result of the work of EPJ (Ethics, Peace and Justice). EPJ is tackling the effects of poverty and isolation among women living with HIV in Chad by supporting local churches to form groups. The groups are a source of social and pastoral support for the women, and also help them to boost their incomes. Pray for women like Madji, facing a battle to live life to the full and provide for their children. Praise God that through the work of EPJ and local churches, they can encounter God’s transformational love and acceptance. Life in the camps rolls on for the Sudanese refugees. Common struggles are the loss of independence and the lack of control that people in the camps now have over their lives. The security situation in Chad outside the camps remains calm. The government crack down on corruption has seen government ministers arrested and over 700 customs officers dismissed. However, regional security is now one of the main concerns after senior UN and African Union officials warned that the country could be the next destination for the Lord’s Resistance Army and advocated preventative security measures. Pray for the government as it acts on this advice and works to keep people safe. According to the BBC’s Chad country profile, Chad ranks as the world’s most corrupt state. Although the country is now an oil exporter and enjoying a boom in prices, restrictions on how revenue can be spent have heightened inequalities. In November, Chad’s government approached paralysis as a social crisis took grip following the doubling of fuel prices and a hike in the cost of living. Civil servants and teachers went on strike. Chad is also beset by shortages of electricity and water, while a rise in insecurity and banditry is feared following a governmental ‘clean-up’ operation of the armed forces that resulted in soldiers being dismissed without any redundancy pay. Please pray for Chad, that God will bring peace and stability to this increasingly troubled country. Prostitution is a serious problem in Chad. As is the case in many countries across the world, women who go out to seek a better life end up turning to prostitution to simply survive. In Chad their main clientele come from the nearby army bases and the indignity of it all leads many of the women into depression and its unfortunate repercussions: drugs and suicide. Drug addiction leads to a circle of dependency, where they need more money to feed their habits, often while trying to support their own children. Please pray for the female missionaries working with these women - that they will remain physically safe while trying to show God’s pure love - and pray also that the Church in Chad will have a vision to reach out to them. Virtually 100% Muslim, the Kuka of Chad are strongly influenced by the nearby Muslim Arab merchants with whom they trade on a regular basis. Although the Kuka number around 148,000, the Scriptures and other Christian resources have still not been translated into their own language. Pray for teams to be raised up to take on this work of translation and church planting. Ask God to open up doors for believers to be able to share their faith in Jesus with the Kuka.